We feel pompous to introduce ourselves as the renowned manufacturer and suppliers of polyurethane roll. It is made from high grade quality material using latest technology equipments are used for polyurethane covering of various materials. Rollers in length are 6m and in diameter it is 2m.This roll is used in various industries as wood, textile, steel, aluminum ,iron, paper. Any size of rolls with metal core can be made as per customer’s requirement and deliver it to them in a specific time frame. 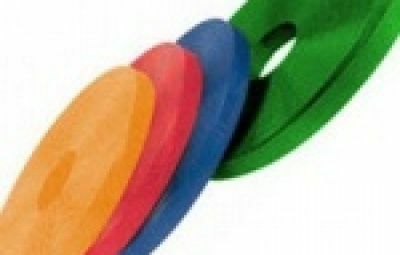 This role is called rotational casting or molding with best surface quality.Our polyurethane Roll are manufactured using quality material and under the supervision of quality control of skilled workers it is also tested on various bases for its better faultless functionality, before putting into the market. With focus to give a complete solution to the demands of clients, we are actively engaged in manufacturing and supplying of Polyurethane Coating Rolls. It is mainly used for printing, glazing, coating, laminating, etc. We swathe a huge range of products as per the requirements of the clients of industries as steel, construction, marine, electrical, pharmaceuticals, automobiles and machinery. We believe in providing quality Polyurethane Coating Rolls to our customer so to maintain good consistency for our products and to maintain the trust of customers. We never make compromises with quality and our manufacturing activity is done under strict quality control system and make available to you at very competitive prices. With years of experience and vast industry knowledge of rollers, we are manufacturing and supplying Polyurethane Coated Roll. 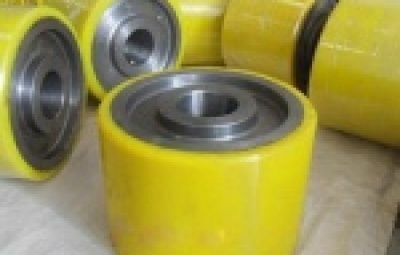 Customer can send their information or discuss with us for their requirement of Rolls and according to their industrial requisite, usage we deliver them Polyurethane coated Rolls. Polyurethane Coated Roll are mostly demanded by clients and appreciated by them for its long lasting effect, abrasion resistance, less wear-tear effect. It is made from tough and hard material that is crack resistance, temperature stability. Our patrons can avail this from us at very nominal price. 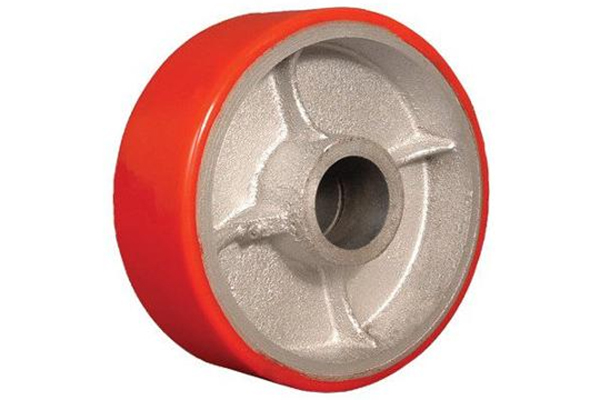 This Polyurethane roller is Abrasion Resistance, Low noise operation, Best quality, smoother edges, high reliablility, we always provide to our customer best quality range of Polyurethane wheels designed by engineers using best quality material . Polyurethane has excellent abrasion resistance, and has outstanding performance, than ordinary roller, plastic roller Flawless quality of Polyurethane PU Roller that is used for pallet truck, stacker, heavy vehicles. Our offered range of products is used in various industry, multiple purpose, we manufacture it different forms, sizes, and specification to meet the industrial ,local and international standards. 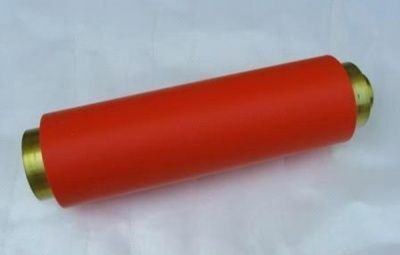 The PU Rollers are greatly appreciated for its superior quality and durability, Longer functioning life. 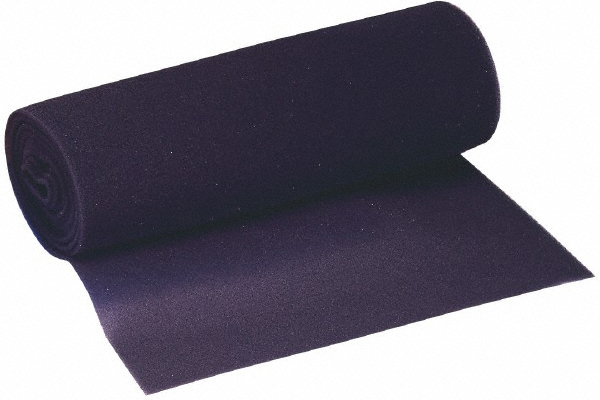 We are manufacturing and supplying a diverse range of rollers we also supply PU Coated Roll. It is specially fabricated for conveyor system for industrial purpose. This is made from good quality material which is resistant to cut, heat, corrosion resistance. PU Coated Roll is made under the strict supervision of quality control and available in different designs, easily available at genuine prices.Our quality control team is testing it on various bases for its faultless functionality also available at economical prices. Our Offered Range of PU Coated Roll is well- known in the market for its high strength, durability, corrosion resistance, excellent finish, good machine performance, Temperature stability, light weight. We are expert in manufacturing, supplying, exporting PU Coated rollers as per customers specification of client within given time for smooth functionality at industrial level at very genuine price. Cast Polyurethane Roll are manufactured using quality material and latest technology the offered product is for versatile process for different application usage. Cast Polyurethane Roll is used for special purpose in industries such as textile, paper, steel, belts, gears, and industrial rollers and are with great strength, durability, effectiveness with toughness are some special properties of this role. With the support team members, we are able to offer you a quality product. This is easily available as per the order of the customer needs in customized format at pocket friendly prices. We offer a wide range of anti-abrasive cast polyurethane which is flexible and resilience polymer also available in sheets tubes, rods, molded components, other products, mallets. This cast Polyurethane is to be used in scrapper, guides, gripper, Castor wheel, mining screen, cones, slurry tube seal etc.It is good conductor to heat, electrical, chemical, thermal is also similar to polyurethane. This is also available in different shapes, size, round, rectangular, blocks, sheets, trolley, wheels, rollers, square bars is with finished look, easy to install, mechanized, moulded components. As per customer requirement we manufacture it in specification ,demand.